1 Years supply using 1 bag every second week. 9 rolls / 3 bags per roll / 27 bags. Just €1.13 a bag. 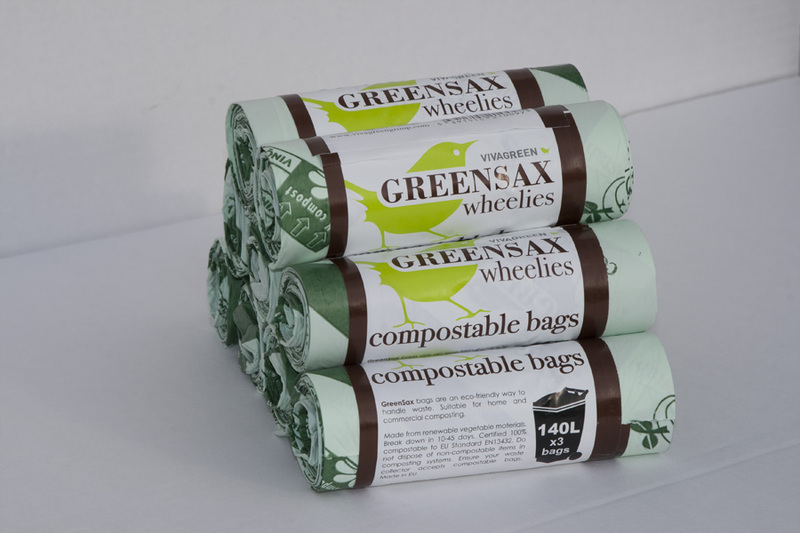 140 Litre Compostable Brown bin bags from leading Irish R&D company Greensax. 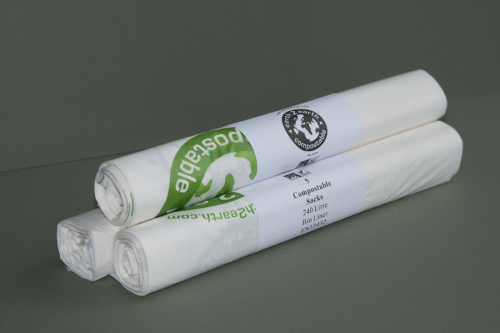 Your favourite supermarket choice is now available to you at Low Cost and Free next day delivery Bags detach easily from the roll without tearing into the next bag, due to clever perforations and are water proof. Watch Video. Generous extra length and elasticity to ensure a good fit. Typically .35 to .50 cent lower per roll than RRP at retail outlets. 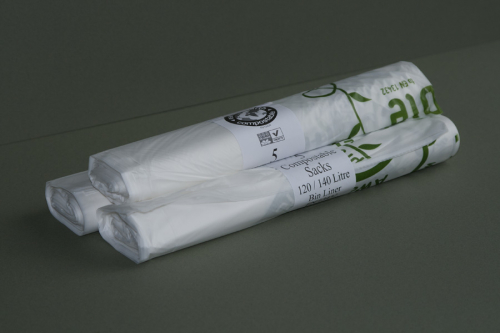 140 Litre Brown Bin Bags 838.2mm – 33” (width) x 1346.2mm – 53” (height). 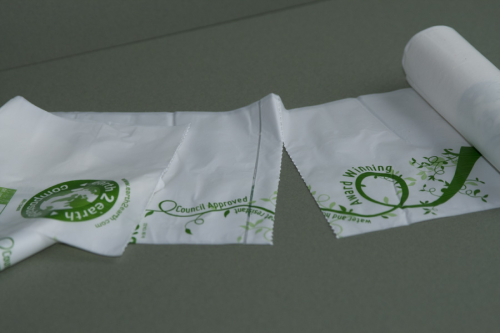 This Irish brand leader of Brown bin bags is much favoured by Irish households. 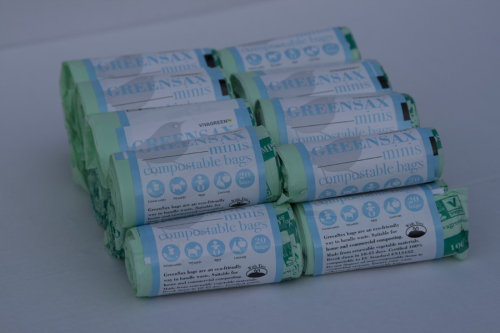 These Brown bin bags are premium priced in supermarkets, however buying in bulk at Brown Bin Rescue and with Free next day delivery represents great value for money. 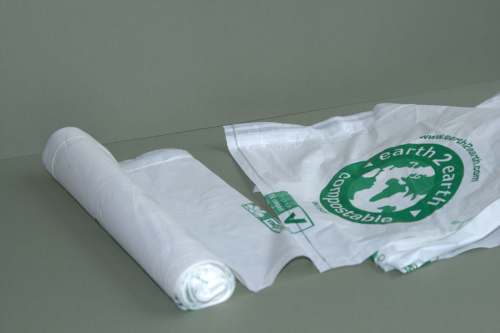 Made with plant starch a renewable resource, these Brown bin bags break down quickly to nourish the soil when home composted, and the compost in an industrial facility. 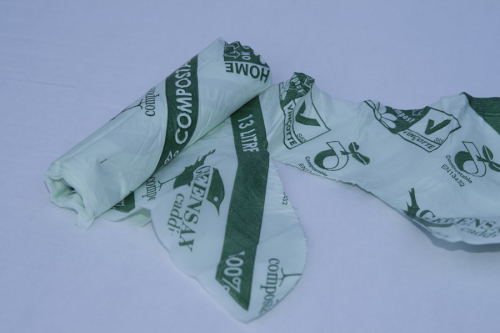 The Compostable bag keep’s your Brown bin clean, preventing odours by ensuring food waste does not build up in the base of the bin. Bin can appear damp when emptied but the bag has not leaked it has been breathing, so in a closed in environment this appears as damp on a closed bins walls. 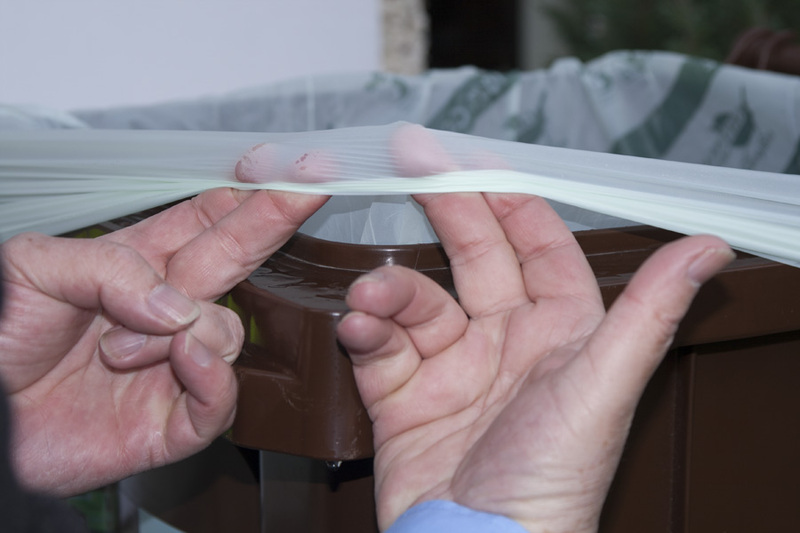 A small amount of liquid can also be present at the base of the bin and this is for the same reason. A kettle of boiling water poured in and left to cool before the insertion of the new liner will address any odour issues. Leave the water in the bin (Yes leave it in the bin) as it will be tipped into the truck on collection day. Why? Well this bin liquid is referred to as ‘Leachate‘ and although very useful in a commercial food waste recycling centre, it is wrong and illegal to empty this often foul smelling waste water down a surface drain in your garden or driveway. 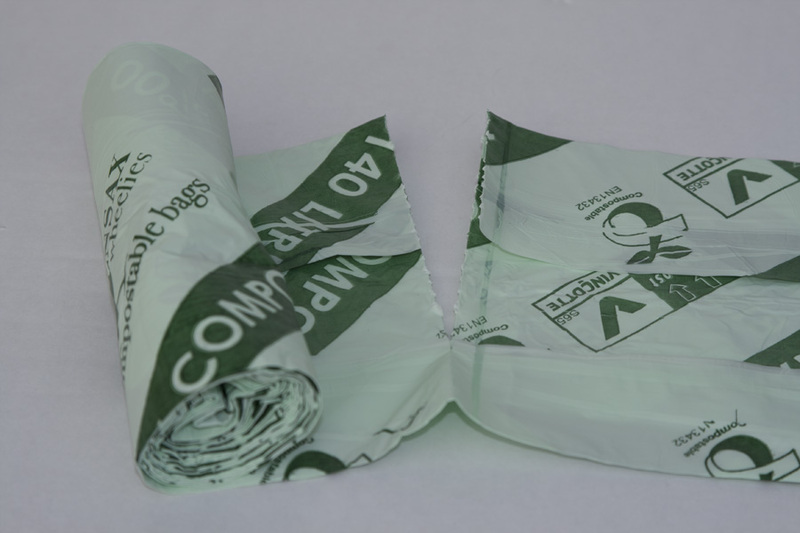 We use the term here of ‘Bag’ but the correct term is ‘Liner’, as these liners will not support the weight of their contents, the bin does that. 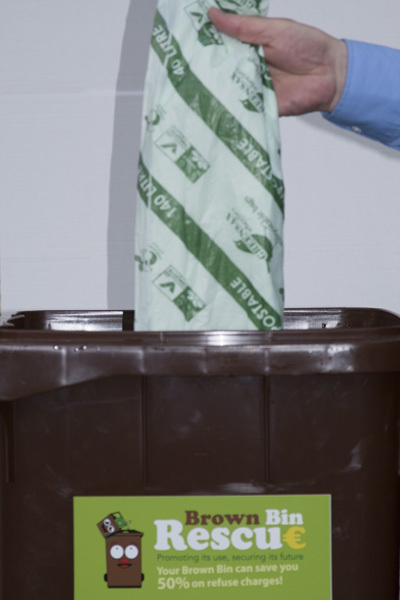 See our E2E 140 litre Max Strength bag option only if strength as a garden bag is required, otherwise these liners work well in keeping your Brown bin clean. Note! 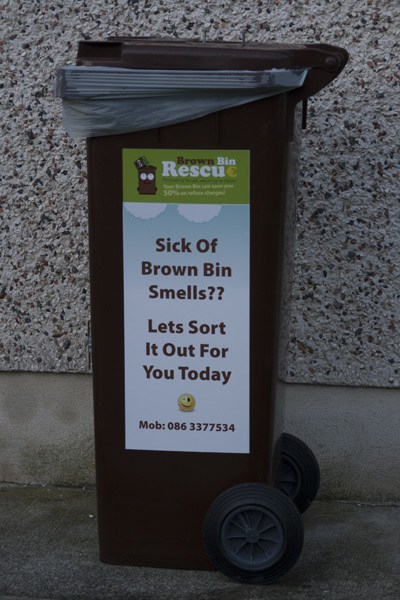 PxW (Pay by Weight) effective from July 1st 2016 enforces the use of the Brown bin in almost all Irish households.